Who knows marketing better than those who ran the presidential campaigns? During election season, it was hard to miss the candidates everywhere you went. When one wrong move can cost you the election, effective marketing becomes extremely important. Effective marketing strategies are no less important for companies looking to hire the best people, even if the whole country is not watching your every move. To find uncommon solutions to your biggest enterprise problems, you need to find and hire the best talent. This is no easy feat, since only 17 percent of hiring managers say job seekers have skills and traits relevant to their company. Employers continue to struggle to find candidates with the right skill set and reach qualified prospects, even though unemployment remains high. When a misdirected campaign brings you a ton of unqualified applications, you waste your time weeding through candidate profiles that are not a good match for your open positions. What you need, instead, is to focus your efforts on attracting those individuals who have the skills, background, and attitude to thrive at your company. Let’s look at some of the marketing strategies that were used in the recent presidential campaigns. Messaging was critical in the presidential election, when they had limited opportunities to make a lasting impression on voters. President Obama’s key message has been to “build America from the middle out”, which focuses on helping the struggling middle class develop. On the other side of the aisle, the Romney campaign touted his plan to get 12 million Americans back into the workforce. Like the presidential candidates, your key organizational message should quickly and efficiently tell the story of what your company does and why top talent should be interested in one of your open positions. If your messaging does not accurately represent your company’s narrative, you will attract the wrong kind of candidates and may not be able to appeal to the talent you really want. The Obama campaign also realized the importance of visual images, which is why they used posters and logos to make their material easily recognizable in 2008. The same applies to your company. If your career site looks like it belongs to a different era or an entirely different corporation, it can throw off your applicants. They might wonder where their application is going to end up and whether it will just be lost into a dead-end applicant tracking black hole. Instead, make sure your careers site is branded to fit into your overall company website theme. A career site that effectively reflects what your company is about and reinforces your corporate message, works as a good entry point to convince candidates that the organization is fluent with new technologies and willing to go the extra mile to find the best people. Supporters are the key force behind any presidential campaign. A candidate’s support base is the engine that drives them into the White House. Not only are these people voters, they are also fundraisers and sources of referrals. President Obama attended a whopping 163 campaign fundraisers as of June, while Romney attended about 36 campaign events and fundraisers in August alone. The candidates know how important their current supporters are in finding new supporters and swaying independent voters. Your current employees might just be your biggest supporters. In fact, employee referrals are the number-one source of external hires, leading both job boards and career sites. This makes sense, as current employees understand the company culture, the challenges you are facing, and know what it takes to thrive in your organization. Companies that focus on putting together a smart employee referral program with incentives will attract the kind of applicants they crave. With the right technology and social recruiting platform in place, a company can effectively track employee referrals and get the most out of their employees’ circle of contacts on social networks. Putting this referral program in the cloud makes it even easier for employees to refer and track from wherever they are — and for your hiring team to collaborate around these referrals. In today’s increasingly digital world, the presidential campaign managers knew they could not afford to ignore social media if they wanted to disseminate their message and connect with voters. This is why the Obama campaign took to Twitter to tweet an average of 29 times per day and Romney’s campaign focused 24 percent of their posts on his messages concerning the economy. Both candidates knew social media is a juggernaut when it comes to engagement and getting supporters to respond to their calls to action. 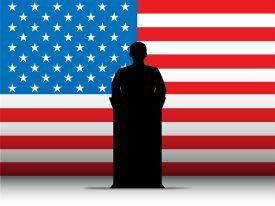 If the presidential campaigns recognized social media is too powerful to ignore, your company should certainly take note. Social media can be a powerful channel for sourcing talent, promoting jobs, and engaging with candidates and stakeholders. With social media, you can reach talent where they spend most of their time. Social tools allow you to engage with top talent and create your own community of candidates that you would want to communicate and build a relationship with. Talent communities can be a great way to disseminate your employer brand messaging and share your company culture with your targeted audiences. Social platforms are also great for promoting your open positions to a large and interested candidate pool. A next-gen recruiting platform will automatically push your open positions to people in your networks, followers, and fans while enabling you to engage in meaningful dialogue with potential applicants. Chime in on discussion groups or join in a relevant industry Twitter chat. Engaging with talent will allow you to build a talent pipeline for your company, reducing your time-to-hire for your next open position. In addition, you can use your company’s social media profiles to engage in conversations about industry-related trends with thought leaders and talented candidates. Even though Election Day has come and gone, there will be plenty more marketing lessons to learn and apply to your company in the weeks, months and years ahead. Taking a page out of the campaign playbook can help your company market itself to get ahead of the competition, tackle recruitment challenges and find the top talent you need to fill open positions. What are some of the marketing takeaways from the political campaigns? Share in the comments!